My pottery for the table consists of a variety of cups, bowls, plates, & platters that are wheel-thrown or slab-built, intended for daily use. The shapes range from round thrown pots to altered square and free-form pieces. I use glazes based on traditional stoneware recipes, and to the extent possible, add in washed ash from my studio wood-stove. The ash imparts a subtle depth to the glazes, and natural elements in the ash give a slight blue tone to the whiter glazes. All glazes are lead-free and safe for food use. 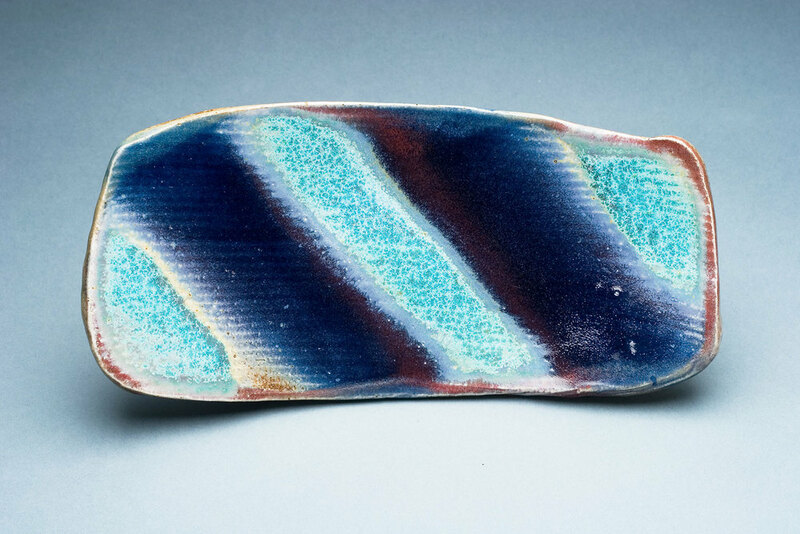 This free-form slab plate has a glaze pattern in blue & turquoise, 2"x 7"x 15", gas fired. Square slab plates in a variety of glazes with brown trailed line patterns, gas fired, 2015. Small wine cup shown here before being unloaded from Skyline Kiln wood firing in Oct. 2016. Neighboring cones provide a way of judging temperature during the firing. 2" Ht. 2016. 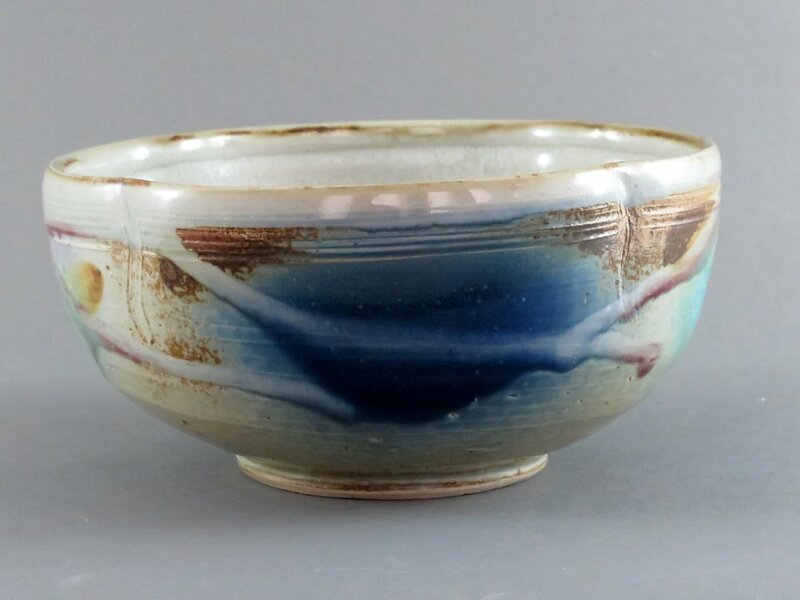 Tea cup with ash glaze and light spray of shino glaze to produce orange and tan tones. Approx. 3.5" Ht. Wood-fired. 2016. Dinner plate with blue leaf pattern, 1"x 10.75" diam., gas fired.